Areas we cover | S.Worrall Plumbing & Heating. Areas S.Worrall Plumbing & Heating cover. Leighton Buzzard, Milton Keynes, Aylesbury, Dunstable and surrounding areas. 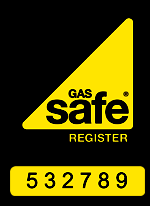 So if your looking for a fully qualified Gas Safe Plumber in Leighton Buzzard or any of the surrounding counties Bedfordshire, Buckinghamshire or Hertfordshire then S.Worrall Plumbing & Heating can help. Sam has fixed plumbing problems in our house many times. He is very reliable and a friendly guy who is happy to explain the issues found. We now use him for all our plumbing requirements.